The Web Of Trust (WOT) browser extension has been removed from the FireFox and Chrome browsers due to concerns over user privacy. 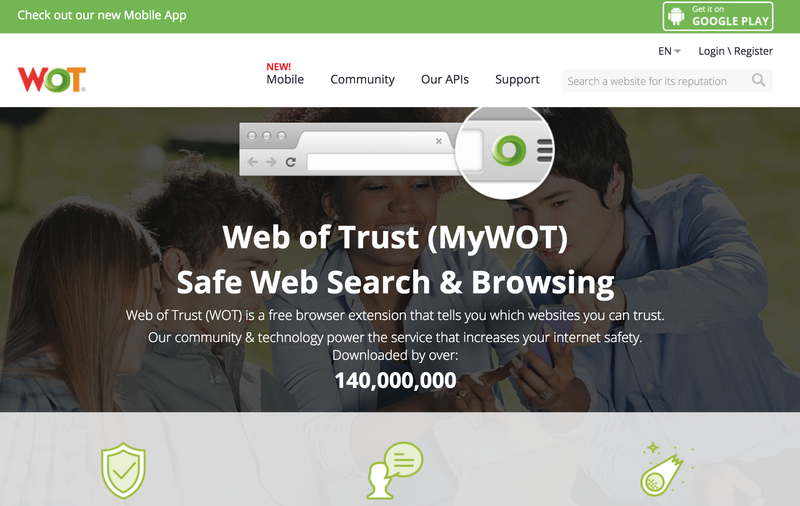 The WOT service is designed to provide details in browser regarding how trustworthy and safe a particular website is. This is calculated using both automated and crowdsourced information. The problem identified by German Journalist Mike Kuketz is that the extension has been sending questionable GET and POST requests back to the developers. Some of this information may be considered extremely private. Including websites visited and user identifiable information. At present FireFox and Chrome have removed the extension from the browser add-ons listings. The install pages simply return a 404. If you have the WOT browser extension installed in FireFox, Chrome or any other browser we recommend removing it until further information is available.